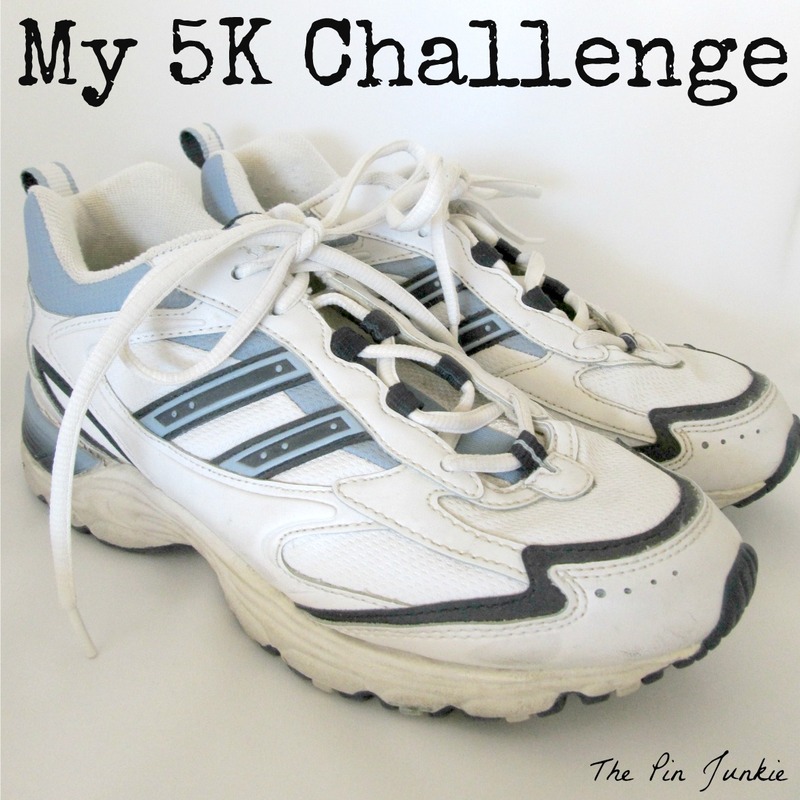 I finished week three of The Couch To 5K program this week and things are getting harder. 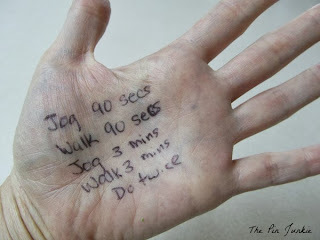 Instead of running for 60 or 90 seconds at a time, I'm running for three minutes at a time. I haven't run that long (as if three minutes was a long time) since high school P.E. and that was a couple of decades ago! I don't have a smart phone, so I'm not able to use The Couch to 5K app. The past weeks' intervals were easy to remember. Run for 60 seconds then walk for 60 seconds. This week I kept track of the running and walking intervals old school. It worked and got the job done! I'm also using a stopwatch to measure my intervals of running and walking. I'm still running 20 minutes a day, three times a week, but the twenty minutes felt shorter this week, maybe because the intervals were longer and I only had to repeat the sessions twice. When I started this program, I thought running was going to be grueling and miserable. I'm really surprised to find that so far, it's not! The gradual increments of intensity are just right. It's challenging but not too difficult. I'm also following the advice of the program which is not to skip ahead or do more than what is recommended for each week even if I feel like I can. I'm also surprised that I actually like running! When I'm running my mind, which is usually full of constant rambling thoughts, is finally quiet. I'm just really focused on maintaining a steady pace and making it to the end of the 3 minutes! I'll be honest, there have been a few days when I didn't feel like running and it was hard to get motivated to do it, but I always feel better afterward. I'm starting to feel like I might be able to do this. I still have a couple of months before the 5K run. The Couch to 5K program is supposed to be completed in nine weeks, but I started early because if I get to a week that's difficult, I can drop back a week or spend extra time on a week before moving forward and I'll still be ready for the race this spring. Way to go on losing 20 lbs! That is awesome! My goal is the same. Just to be healthy and get in shape. 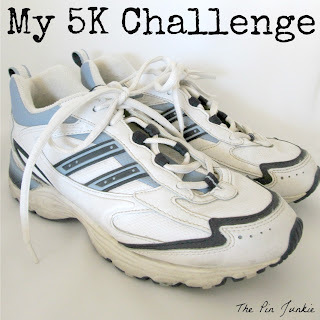 I decided to do the 5K this spring because I needed a goal to work toward. I'm glad I'm enjoying it, otherwise I don't think I'd be able to keep up with it. I think part of what I like is being able to do a little bit more each week. It's nice to see the progress.